As a public, land-grant institution, the responsibility to conduct research for the benefit of South Carolina and beyond is embedded in our foundation — and our future. Every day, faculty, staff and students are working to improve the quality, quantity and impact of our research to foster our position as a world-class research university that serves to inspire a new generation of thinkers, drive economic growth and solve real-world problems. In the 2016 Carnegie Classification for Institutions of Higher Education, Clemson was designated a Research 1 university — putting us among universities with the highest level of research activity. This recognition raises the University’s national profile, helps us recruit top faculty and puts us in a better position to compete successfully for more research funding. Our increasing reputation in research helps attract the best and brightest graduate students, and our faculty are continuing to bring in major funding for their work. In fact, we have seen an increase of nearly 60 percent in sponsored research and programs over the past three years — from $102 million in 2013 to $159 million in the most recent fiscal year. For years, Clemson has created and nurtured research and economic development centers to build a knowledge-based economy in South Carolina. The University’s more than 100 research centers and institutes are dedicated to everything from automotive excellence to advanced materials, and agriculture to foresty — to name just a few — and serve as the link between academics, industry and government. In addition to research that supports economic development, Clemson’s research also supports better health outcomes for all. As just one example of that work, in a collaborative effort with the Centers for Disease Control and Prevention, our faculty, graduate students and undergraduates worked together to identify different strains of Legionella, the most common cause of waterborne bacterial outbreaks in the United States. As part of that research, they determined that one of the strains was novel — it had not previously been identified. You can read more about the newly named Legionella clemsonensis on page 6. We recently announced several major grants from such institutions as the National Science Foundation and the National Institutes of Health that will help solve problems related to causes of Type 2 diabetes, the treatment of seizures, detection of infections on implanted medical devices, and critical functions for data and cyber security. And these are just a few examples of Clemson addressing real-world problems with well-researched solutions. We are committed to furthering our international research reputation by promoting a culture of discovery and excellence while exploring new opportunities to bring bold ideas and innovative answers to South Carolina and the world. Our over-arching goal is that in 10 years, Clemson will perennially rank among the nation’s Top 20 public universities and as a Carnegie Tier 1 research institution. A new academic year always brings a sense of renewed optimism and anticipation for what comes next. Preparing for what comes next is — after all — the essence of what universities do. Asking questions, experimenting, creating, debating and thinking deeply and critically — these are essential tools for equipping students to succeed during and after college. They also are tools for finding solutions to the great challenges of our time and for discovering innovations that drive economic growth. • Achieving a Top 20 national ranking from U.S.News & World Report and a seventh consecutive Top 25 ranking. • Setting new records in demand for enrollment and quality of the student body. • Reaching record levels in private fundraising. • Earning national rankings for quality, value, return on tuition investment, town-gown relations and the No. 1 ranked alumni network. • Securing additional state support for critical educational, economic development and public service programs and facilities. • Opening our first off-campus visitors center — Experience Clemson — in downtown Greenville. • Tackling the largest construction program in University history to address facilities needs and take advantage of a competitive external market, low interest rates and the University’s strong debt capacity. 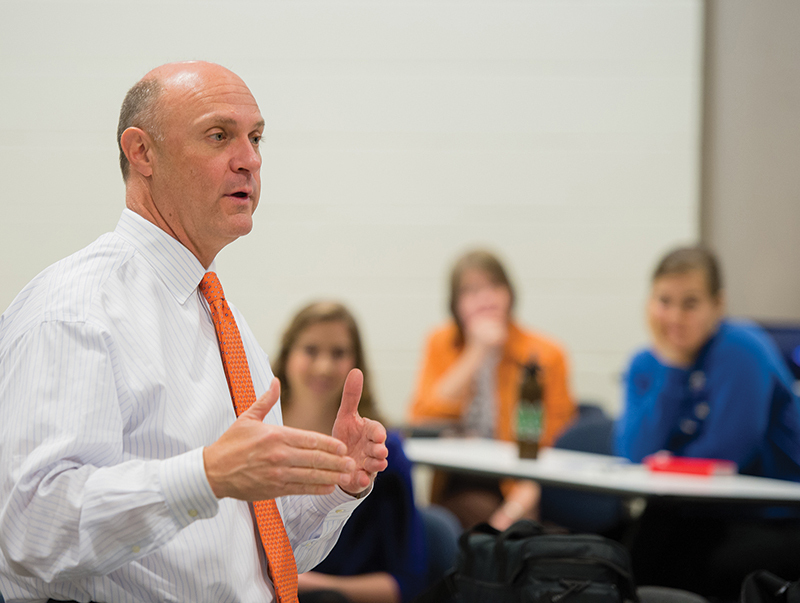 Our strategic plan — 2020Forward — is a key part of preparing Clemson University for what comes next. In July, the board of trustees gave preliminary approval to the key concepts in the strategic plan and charged the administration to return this fall with a final plan for review. • Providing high-impact engagement opportunities to students as a cornerstone of undergraduate education. • Growing research and doctoral enrollment, with emphasis on programs and research focus areas where we can achieve national prominence, and an organizational structure that supports excellence. 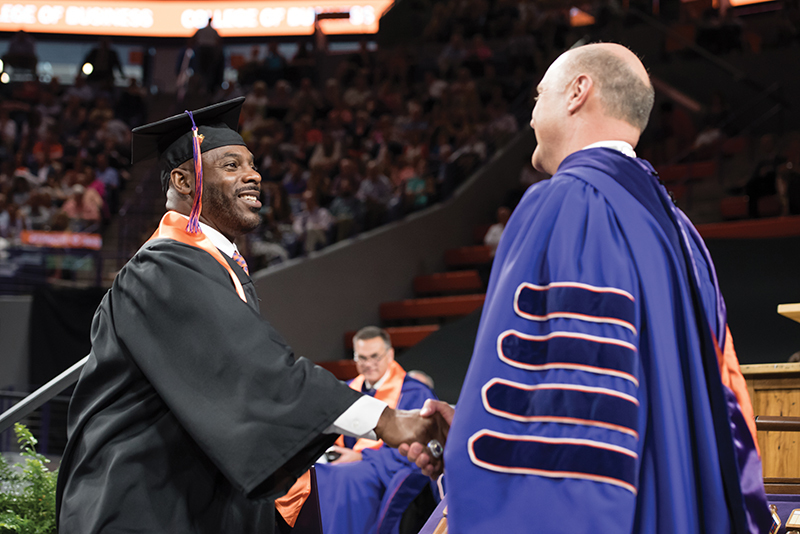 • Making Clemson an exceptional place to work. • Increasing our commitment to diversity and inclusiveness. The plan also retains many of the strategic priorities of the 2020 Road Map — including a sustained Top 20 national ranking, an aggressive capital improvement plan and commitment to outreach and economic progress for South Carolina. • First, develop and implement a strategic plan to increase the diversity of the student body, staff, faculty and administration, with measurable goals. • Second, promote greater cultural awareness and a sense of community, which is the focus of several initiatives launched last spring, such as the monthly student dialogue lunches and a planned lecture series. • Third, assess and enhance the effectiveness of existing diversity initiatives and support services. As part of this effort, we will move the Gantt Multicultural Center from Student Affairs to the Office of Diversity — to enhance coordination and better leverage the expertise and resources of each unit. • Fourth, document and communicate the history of Clemson, including the role of under-represented groups. We have initiated a process with state authorities to add a series of markers to campus to help document additional parts of our history. These efforts will be enhanced by the board’s recent action to adopt a resolution and appoint a task force to explore ways to accurately preserve and tell the complete history of Clemson, which includes opening a discussion on Benjamin Tillman. I applaud the board for their action, and I look forward to assisting the task force with their work. Evaluating, discussing, critiquing and debating important issues are what great universities do to arrive at the best solutions. Understanding and communicating the full story of Clemson’s history is an important part of creating a more inclusive and welcoming campus environment. So what’s next for Clemson in 2015-16? • Enrolling another outstanding class of students. • Launching a new strategic plan by January 1, 2016. 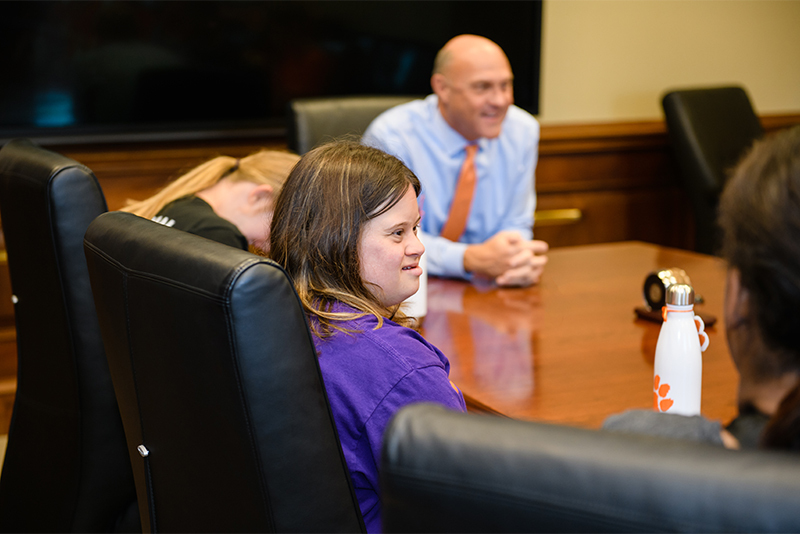 • Successfully completing the Will to Lead for Clemson capital campaign, which will make Clemson the first public university with an alumni base our size to surpass a $1 billion campaign goal. 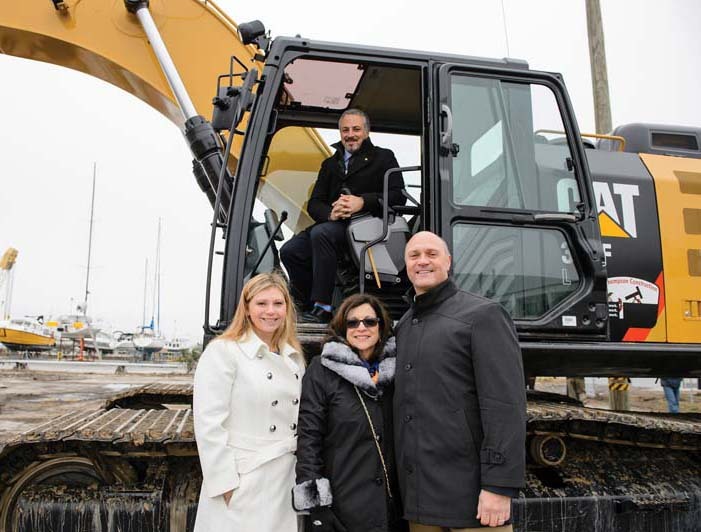 • Opening new academic and athletic facilities on campus, as well as additions to the Clemson University International Center for Automotive Research campus in Greenville and the Zucker Family Graduation Education Center in North Charleston — with more groundbreakings to come. What comes next — is another great year to be a Clemson Tiger! 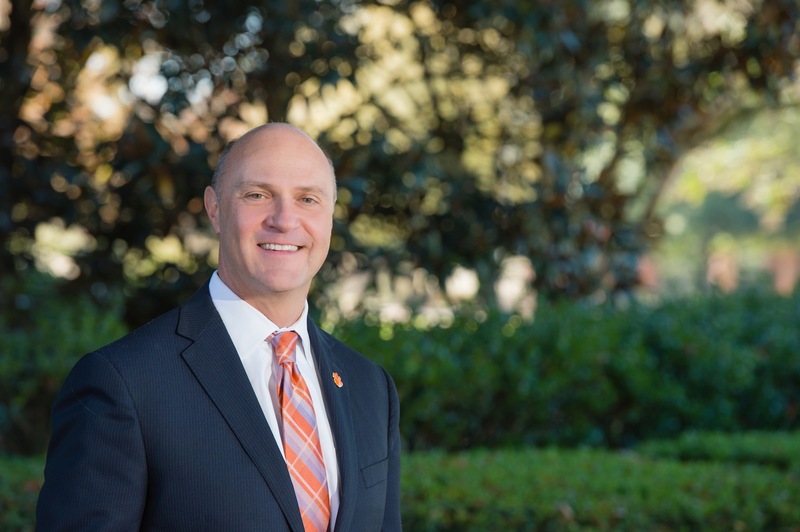 U.S. Secretary of Commerce Penny Pritzker has selected Clemson University President James P. Clements to serve as a co-chair of the National Advisory Council on Innovation and Entrepreneurship (NACIE). NACIE is a federal advisory committee charged with identifying and recommending solutions to issues critical to driving the innovation economy, including enabling entrepreneurs and firms to successfully access and develop a skilled, globally competitive workforce. Clements will advise Pritzker on issues related to accelerating innovation and entrepreneurship — with an emphasis on proven programs that create jobs and boost innovation.